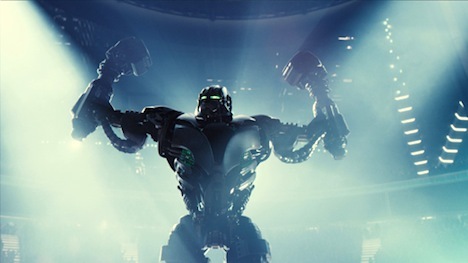 The latest DreamWorks picture out in theaters, Real Steel is about a father and his estranged 11-year-old son who enter the world of robotic boxing, once human boxing has become outlawed. But, professional boxers are still needed because the 2000-pound steel robots are human-trained. Hugh Jackman plays an ex-fighter who decides to become a promoter for the new sport, but is faced with having to scrounge up robot parts, which is not a good way to create the best end product. After seeing the film on the larger-than-life IMAX screen, you might be interested in some of the work that went into making the cast of robot characters. Many of the robots and robot components were designed and fabricated by San Fernando-based Legacy Effects. With years of experience, the Legacy Effects partners work in live-action effects in films, commercials and television. 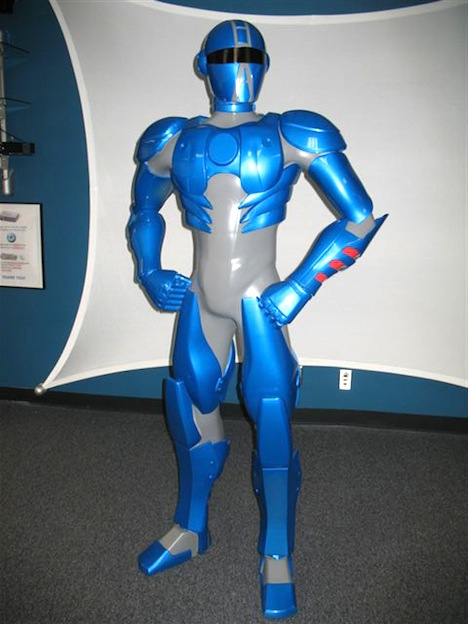 Atom prepares to fight Zeus, the greatest robot boxer of all time. DreamWorks II Distribution Co., LLC. All Rights Reserved. 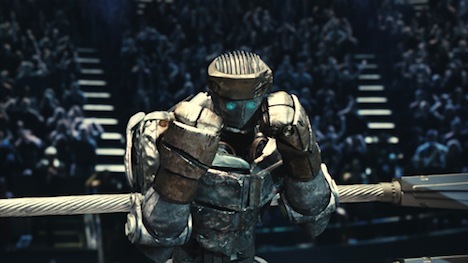 Zeus, the greatest robot boxer of all time, enters the ring at the WRB in DreamWorks Pictures' action drama Real Steel. DreamWorks II Distribution Co., LLC. All Rights Reserved. "We built all the robots for the film, which included six 'Hero' or close-up robots, one partially destroyed robot called Axelrod, and twenty background level robots," explained John Rosengrant, a partner at Legacy as well as a member of their engineering team. "A few specific ones included Atom, who is 7-feet, 6-inches tall; Noisy Boy, who stands 8-feet, 6-inches; and Ambush who is 8-feet, 2-inches tall." 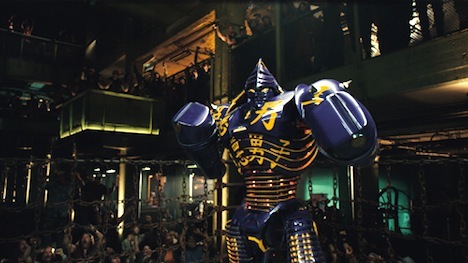 The company created 19 real-life animatronic robot fighters for the production so that the movie could use a mixture of real and computer generated action. This meant that some of the fighting sequences would involve motion-capture animation. Noisy Boy enters the ring at Crash Palace in Real Steel. Â©DreamWorks II Distribution Co., LLC. All Rights Reserved. "Tom Meyer and his production design team created the look of the robots and Legacy Effects took those designs and embellished them and fleshed out how they would really function, all the while maintaining the integrity of the approved look. 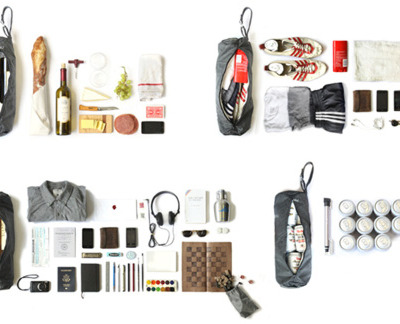 We worked closely with Tom in the final design process." Each part was sculpted digitally in a variety of programs Maya, Z Brush, and Max 2010, and all were downloaded as STL files for rapid prototyping. John added that, "All of our files were shared with Digital Domain who was the team heading up the CGI versions of the robots." Legacy used a structured material, ID Light, which was manufactured using a proprietary process developed by Solid Concepts originally to create large Appearance Models that were lightweight. Legacy used the ID Light parts to generate basic shapes for the tooling masters needed for many of the robot pieces used to create the final robots for the movie. 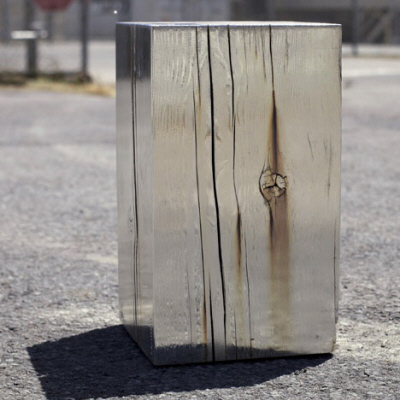 "It's a great material and holds sharp tolerances and accurate form," John said. 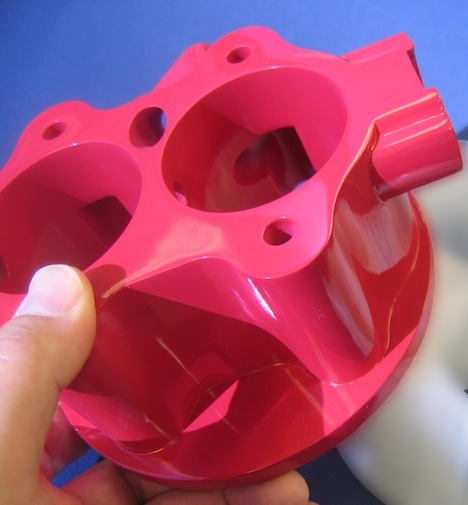 "Best of all, it's a very lightweight material, and we use it all the time for tooling masters as well as for static displays or props when appropriate." ID Light is an SLA product that is created using a proprietary laser-scanning pattern and post-processing methods, ideal for large appearance models. Solid Concepts is the only company that offers the trademarked technology. A thin outer shell (0.030 to 0.040-inch) is fabricated to encase a drainable rigid inner scaffolding-like matrix, which makes parts manufactured using ID Light between 80- and 92-percent lighter than solid SLA parts depending on geometry. ID Light parts also build faster than standard SLA parts. ZoomR is Solid Concept's hero creation for the company's ZoomRP.com overnight rapid prototyping division. In building the robots, we used PolyJet parts for tight details of small components, ID Light for tight medium-sized components, and milled in foam for very large parts. These served only as master sculpts, though, because all the components were then molded. Only a few PolyJet parts were used on the robots without molding them. "The final urethane robots," according to John, were highly durable, relatively lightweight, and had a bit of flex to them to survive the rigors of filming." After creating masters, the final robots were fabricated using various shore hardness grades of urethane with some lightweight fiberglass parts. Because of the live-action segments of their use, the robots needed to have up to 18 articulated joints. 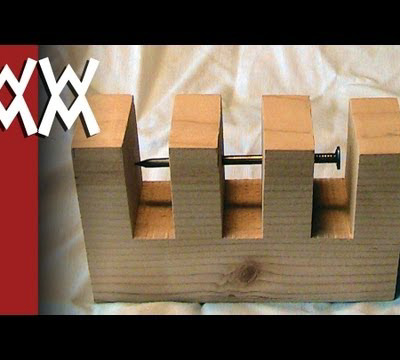 So, components were attached to one another by either bolting them together or attached using a urethane glue, dependent on the situation. For between six and ten of the joints, Legacy used custom actuator hydraulics components from Fluid Group to make them move. "Speed of movement is always helpful, but we were more interested in precision control and ease of controlling such large characters. That's why we turned to hydraulics," John said. 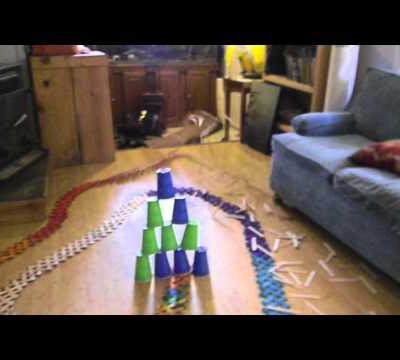 The actual performance was driven by a telemetry device, which related a one-to-one movement to the robots in real time. The telemetry was an exact replica of the mechanism in the robot. Putting together a great team of designers, the right technologies, the right materials, and proprietary processes, creates the ultimate in flexibility and capability to the movie industry. This is why movies are being made that look more real than ever before. 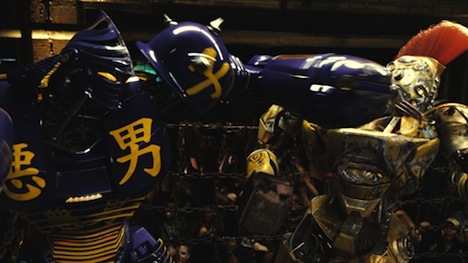 Real Steel is one of those movies. i' m a 13 year old boy in Ghana Africa , and i want to build a robot a bit smaller than the ones in your movie but with the fighting features .i need your help with the equipments and planning of this robot.